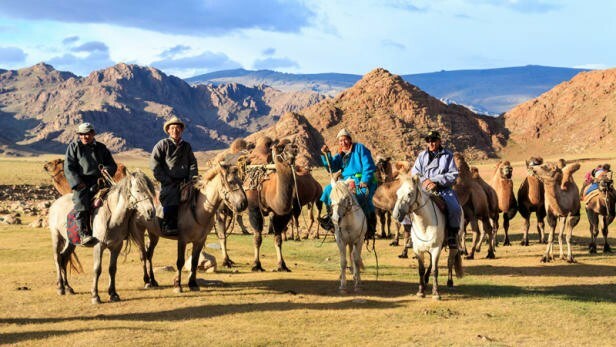 WASHINGTON — Tending camels in the Gobi desert — moving them to fresh grazing pastures in the spring and summer, and to shelter in the winter — has been a way of life for families in Mongolia for thousands of years. But cycles of freezing winters and dry summers — a natural phenomenon which the herders call the “dzud” — are ravaging the already inhospitable terrain with increasing frequency as a result of climate change, leaving millions of livestock dead from cold or starvation. 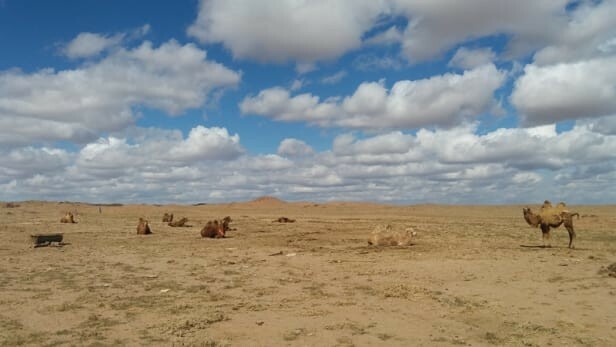 As life for the camel herders becomes more challenging, they face a further threat in the form of Mongolia’s booming mining industry, which the families argue is putting their livelihoods, health and culture at risk. Herders are fighting to defend their way of life. In May, they won a landmark agreement with the operators of one of the world’s largest copper mines - the World Bank-backed Oyu Tolgoi. But the herders are fighting to defend their way of life. In May, they won a landmark agreement with the operators of one of the world’s largest copper mines — the World Bank-backed Oyu Tolgoi — dedicated to improving the lives of their families, their animals and their environment. Constituting more than 50 separate commitments on the part of Oyu Tolgoi LLC and the Mongolian government, a co-owner of the mine, activists have described the victory as “rare” and “historic” — the culmination of four years of negotiations mediated by the World Bank’s Compliance Advisor Ombudsman in one of the few successful cases of its kind. “Agreements like these … are rare in our field. The size and scope of the agreements is testament to the hard work that all parties have put into the dispute resolution process,” said Caitlin Daniel, an attorney with the NGO Accountability Counsel, which supported the herders through the complaint process with legal advice and negotiation training. The case serves as a model for how marginalized communities can hold companies and their institutional investors to account, and for how corporations can settle conflicts and ensure they are operating in a socially and environmentally conscious way, Daniel said. When safeguards fail, development finance can sometimes cause harm to the same communities it aims to help. A growing number of civil society organizations are leading the campaign for redress. The agreement still needs to be implemented. 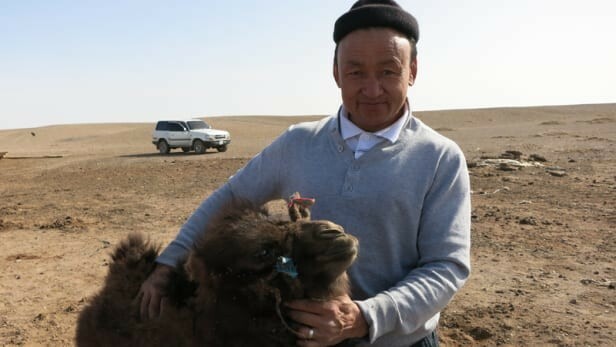 Battsengel Lkhamdoorov, who was elected by his fellow herders to represent them during the negotiations, believes that their complaints are “starting to be addressed in a serious way,” but said that “we will continue to be vigilant and make sure what has been agreed to is actually accomplished.” Nonetheless, the agreement itself remains a landmark achievement. How was it reached — and what does it mean for other communities affected by these issues? The Oyu Tolgoi mining site, which means “turquoise hill,” is widely thought to be one of the largest undeveloped copper deposits in the world. Located in a remote area of the south Gobi desert, much hope is pinned on it. Once complete, it is expected to boost Mongolia’s gross domestic product by up to 30 percent. Mongolia has made huge strides in its social and economic development over the past 25 years —tripling its GDP, decreasing maternal and child mortality levels and improving school enrolments. But the economy has taken a downturn in recent years, in part due to falling commodity prices. 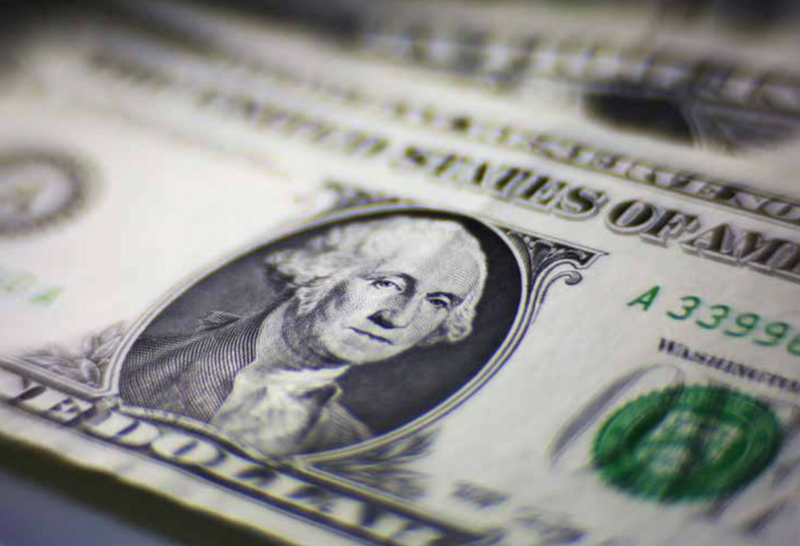 The country was forced to ask the International Monetary Fund for a $5.5 billion rescue package earlier this year. As a result, the success of the Oyu Tolgoi project is a priority for the government. Predicting an economic rebound for Mongolia in 2019, the World Bank points to it as a key factor in the country’s hoped-for recovery. It is thought that the mine was first discovered by the Russians in the 1950s, and has changed hands many times since then. It is now jointly owned by the Mongolian government, which has a 34 percent share, and Canadian mining company Turquoise Hill Resources, which is predominantly owned by British-Australian mining giant Rio Tinto. It is operated by Oyu Tolgoi LLC. Fearing it would be difficult to attract foreign investment into the formerly Communist country, in 2010 Oyu Tolgoi’s owners approached the International Finance Corporation — the private sector arm of the World Bank — and the European Bank for Reconstruction and Development to request financing to develop the site, which includes an underground mine as well as an open pit operation. A financing package was eventually agreed, with the development finance institutions putting up $4.4 billion between them. That included $400 million in direct financing from the IFC, as well as syndicated loans with 15 other commercial lenders worth $820 million, and guarantees from the World Bank’s Multilateral Investment Guarantee Agency. The mine is currently partially operational, with the final work set to be completed by 2025. More than a third of Mongolians are herders of some kind, making a living by moving their animals to different pastures depending on the season. With this way of life increasingly under threat, mining activities can also pose a problem because of conflicts over land rights and the impact on the environment. The herders also claimed that compensation packages offered to 89 other households whose pastures and water wells were impacted by the development of the mine. The Oyu Tolgoi site, which spans 250 square kilometers of desert, was no exception. By 2012, the situation had deteriorated far enough that, with the aid of two Mongolian NGOs — Gobi Soil and Oyu Tolgoi Watch — a group of herders filed a complaint with the CAO, the body tasked with resolving disputes with local communities affected by IFC investments, claiming that the development of the mine was threatening their livelihoods, health and culture. Before the IFC had even approved financing for the mine, the herders claimed that 11 herding households were unfairly pressured into relocating their winter camps and signing unfair compensation packages. As a result, many had lost animals during the harsh winter because they were forced onto inferior plots of land. Five months later, in February 2013, the herders filed a second complaint — this time, about the diversion of sections of two rivers running through the area to make way for the construction of roads and other infrastructure linked to the mine. According to the herders, these diversions caused wells and springs to dry up, leading to a scarcity of drinking water and the deterioration of pasture land. Water has long been the biggest cause of tension between mining companies and local communities. Between 2010 and 2017, nearly 60 percent of all mining complaints lodged with the IFC centered around it. The south Gobi desert may be rich in minerals but it is poor in water — already the driest part of Mongolia, mining activities there mean that resources are being stretched further. Despite the complaints being lodged with the CAO, IFC financing for the mine went ahead. The CAO was set up in 1999 to review complaints from communities who claim to have been negatively impacted by companies funded directly or indirectly by the World Bank’s private sector financiers — the IFC and MIGA. It came as part of the World Bank’s drive to become more socially and environmentally conscious, after a number of highly controversial infrastructure projects — such as the Polonoroeste project, designed to build a highway into the Amazon — sparked international outcry. In a majority of cases handled by the CAO, no agreement was reached, nor was a compliance investigation undertaken. Within cases of dispute resolution, only around a third resulted in an agreement. The CAO has two modes of working — mediating and negotiating between companies and communities to resolve disputes; or it can launch a compliance investigation to determine whether a company has adhered to the bank’s environmental and social safety policies. The success of the CAO is disputed. As of 2016, the ombudsman had handled 160 cases in 49 countries — but accusations of social and environmental harm caused by IFC and MIGA-backed projects have continued. A recent study by the University of California, Berkeley, looking at 71 CAO cases found that in a majority of them no agreement was reached, nor was a compliance investigation undertaken. Within cases of dispute resolution, only around a third resulted in an agreement. The camel herders were among the lucky ones. After receiving the first complaint, a team from the CAO flew to Mongolia to meet with the herders and the mine’s operator. Both groups chose to pursue a dispute resolution through the CAO — a voluntary process which either party can withdraw from at any point. Other options open to the herders would have been litigation, direct negotiation without a mediator, and media campaigns and protests. Two independent experts were appointed jointly by the herders and Oyu Tolgoi to investigate. Everyone Devex spoke to agreed that the formation of a Tripartite Council, known as the TPC, in 2015, to act as an independent, freestanding forum through which to resolve the complaints and deal with any future issues, was key to the success of the negotiations. 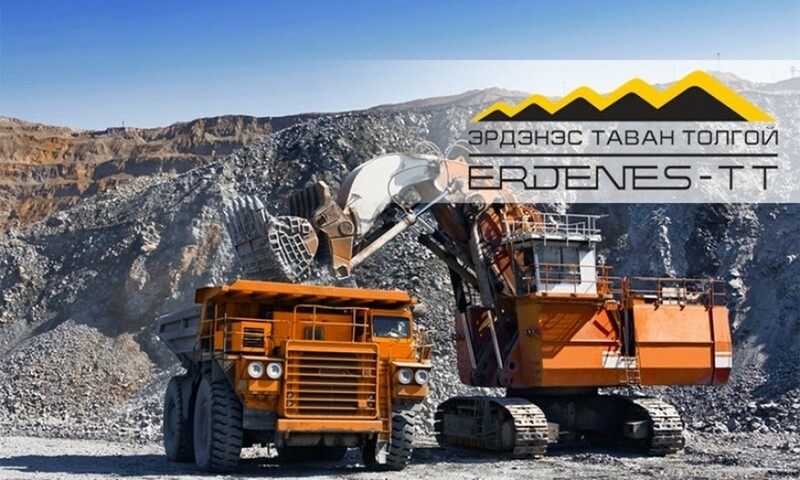 It is expected that the TPC — which includes representatives from the herders, Oyu Tolgoi, and the government — will continue to meet regularly during the life of the project. Daniel described the TPC as a “very significant achievement” for the herders, while Neil Pereira, principal investment officer at IFC for the Oyu Tolgoi project, said he had sat in meetings and seen first hand the council’s effectiveness. The mining company also praised the CAO for the training, facilitation and conflict resolution services it provided to TPC members throughout the process. A number of smaller agreements were reached early on. For example, Oyu Tolgoi agreed to let herders graze their animals on the project site and visit the mine. But reaching agreement on the bigger social and environmental impacts of the mine proved more difficult. As a result, two independent experts were appointed jointly by the herders and Oyu Tolgoi to investigate. The final reports were submitted at the beginning of 2017: The experts broadly supported the herders’ claims and criticized the company’s compensation processes and environmental assessment and monitoring practices. They also found that the mine had created conflict among the herders themselves, as they competed for land and water. Based on this, two key agreements were reached through the TPC, and signed in May 2017. 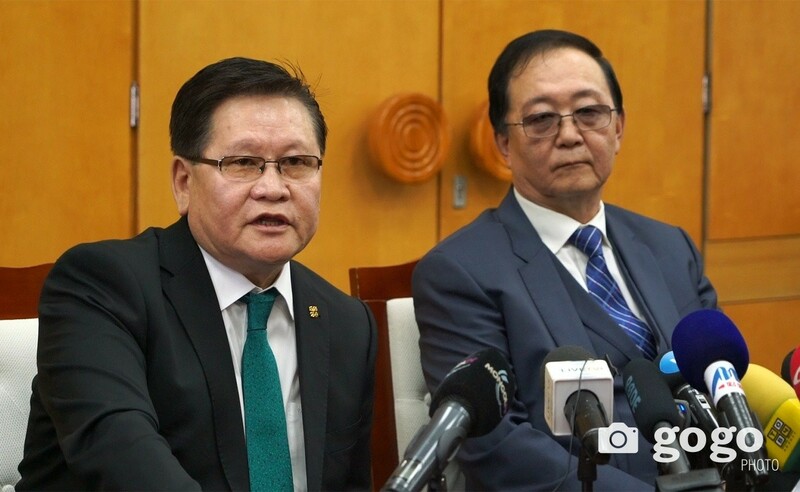 The agreements included dozens of commitments made by the mining company and also the government, including constructing new wells and maintaining existing ones; developing a pasture management plan; and better monitoring the environmental impacts of the mine’s operations. Oyu Tolgoi also agreed to review its compensation packages and expand the eligibility criteria to include more herders. It pledged a number of initiatives to boost the economic sustainability of the herders’ traditional livelihoods, including developing a local market and supply chain for animal products, building a slaughterhouse, and introducing a fodder planting program. They will also work to improve health services for herders and set up a scholarship program to help children explore alternative livelihoods. Significantly, a participatory monitoring program will be designed in consultation with the herders that will include training and employment for many of them. While the final agreement represents a “historic” victory for the herders, their supporters stressed that ongoing support will be needed to ensure it is properly implemented. “It is critical [the herders] still have this Tripartite Council and that the CAO is engaged,” Daniel said. Critics of the CAO say it lacks teeth to enforce the agreements it helps to mediate, which are voluntary. But it will at least monitor the implementation of the agreement for 12 months, and close the case if progress is satisfactory. But IFC’s Pereira said he has a “healthy respect” for the CAO process, and that the outcome of the herders’ case demonstrates it is fulfilling its function as a “check and balance” on the IFC and MIGA. He added that the IFC had been “fully involved and supportive” of the process. “A lot of good has come out of this process, we’ve been able to interact with people and understand their specific issues and I think for the most part their issues have been addressed … That’s what [the] IFC wants,” he said. 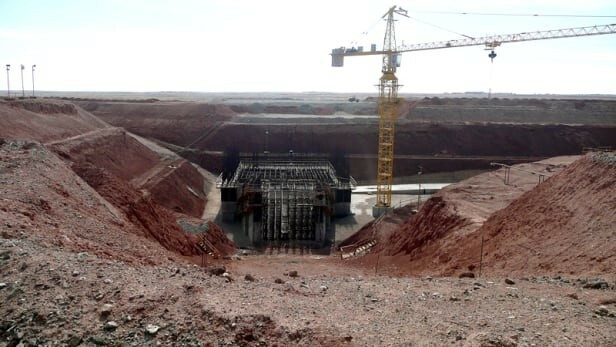 Pereira also explained that while the IFC’s board knew about the pending CAO case when it voted to approve financing for the mine in 2013, the clear potential upsides and the Mongolian government’s strong support for the project meant it went ahead. IFC estimates that more than 18,000 jobs either have been or will be created by the mine, with about 90 percent going to local staff. In addition, the project contributed more than $1 billion in taxes and other payments to the government between 2010 and 2015, and local spending associated with the mine was about $4 billion at the end of 2015, according to IFC data. “While we do our best to mitigate this, when problems do come up we try and address them, and the CAO can help us [do this],” he added. Pereira described Rio Tinto as a “very good partner and we’ve been very happy with their involvement.” He is confident that the company is “committed to doing the right thing” by the herders. Devex contacted Rio Tinto for comment but had not received a response at the time of publication. Transparent communication and the value of involving communities throughout the design, implementation, monitoring and maintenance phases of a mining project emerged as recurring themes throughout the dispute resolution process, according to Daniel. In fact, the case might never been brought forward if communication between the company and the herders had been better from the start, she said. “Often, issues are so frightening for herders because they are still not really seeing the type of regular updates, or information disclosure you would want to see … They [Oyu Tolgoi] could have done that to begin with — so there is still [a] lot that could be done on the front end to avoid the need for these [formal complaints] in the first place,” she said. IFC appears to have taken this lesson on board, as well as the need to pay special attention to water use by mining companies. 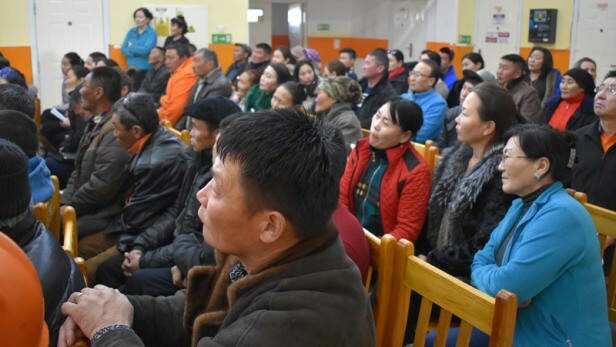 Motivated by the Mongolia case, it brokered a voluntary code of practice on water management with eight mining companies in 2016, which calls for signatories to be more transparent, to develop participatory monitoring programs for communities living close to mining sites and to measure and monitor water resources.